My first real paycheck from blogging was a sponsored post. I was frustrated after months of not getting anywhere. To be fair, when I first started blogging I really thought I just needed to write random things and put up a few ads and I’d be making a full-time income. At least that’s what I gathered from the first couple of Pinterest articles I had clicked on. I needed to start making an income and the 26 cents in my Adsense account wasn’t exactly cutting it. I couldn’t even manage to get over 1k pageviews each month. But my next sponsored post a month later (pageviews were about 26k at that time) was for $180… better right? This was the second month after I had restarted my blog. PS: Check out the exact tools I used to start making $2k/per within THREE months!! So, what the heck is a media kit? A media kit is a quick overview of who you are, what your business is, who your audience is, and your stats. The purpose is to give a brand a sense of your business so they can decide if working with you for sponsorships (or other opportunities) will be a good fit. After all, the best sponsorship opportunities are ones that benefit the audiences of both parties. Media kits are, in my opinion, one of the first things you should set up. You can always update your numbers as you go, but don’t worry, we’ve got you covered! Check out these tips and tricks to help increase your pageviews (we’re talking 100,000 page views)! 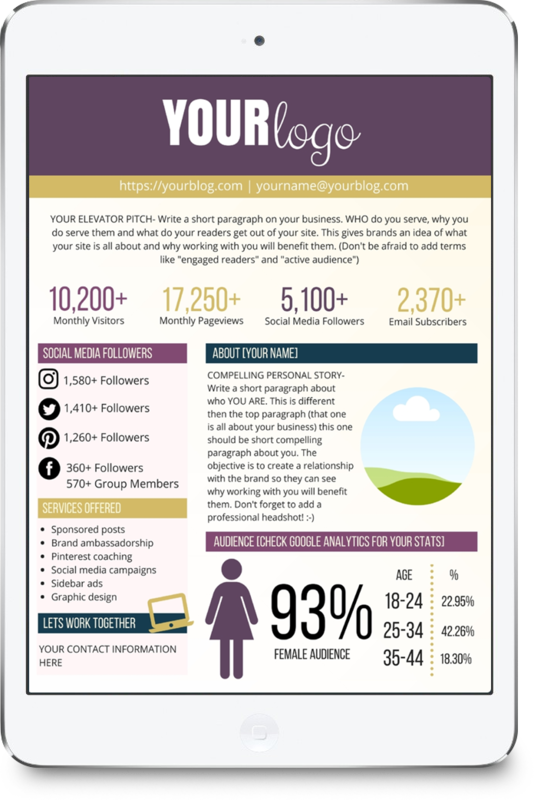 PLUS I have an already-designed-for you FREE media kit that you can edit to fit your brand and your stats. Pretty amazing, right!? You don’t need big numbers, you need a professional and clean looking media kit. What you need to have is confidence as you approach brands (and be strategic about the brands you decide to pitch) and you need to know your worth. My first sponsored post was well undervalued. While my numbers may have been low, that post ended up being one of my top 5 posts for about 2 years. The amount of traffic that that $22 post sent them was unbelievably impressive. A very basic, one-page media kit is all that’s needed when you first start out. Especially if you are going after both compensated and non-compensated opportunities. As you grow, you may want to expand to a more advanced multi-page media kit with a monetization package. Then, pick your color palette and gather your design elements. You will likely need icons for your blog stats and social media stats, and you may also want to include charts or graphics if you have a more advanced media kit. If you are using our media kit template, you won’t have to search for design elements as they are already included (you can swap them out though, if you choose). You can get access to this template at the end of the article! Creating a sponsorship package is a great way to start monetizing your blog. Start by deciding on what services you would like to offer and pricing them individually. Then, create a number of different packages that include different combinations of those services, each priced differently. You would price these things at a slightly lower price point than if the services were purchased individually. You could also create longer-term sponsorship opportunities (like 3-6 month contracts). This would mean a recurring income for you and also more exposure for the brand you’re working with. Side note: if you are looking for a tool that does bookkeeping, client onboarding, contract signing, sending invoices, and a ton of other awesome stuff then check out Dubsado. I use, LOVE, and highly recommend it! So, whether you are ready for your very first paycheck, or you are ready to really level up your monetization strategy; stop putting it off! Design your media kit now, you can always update it later as you grow! 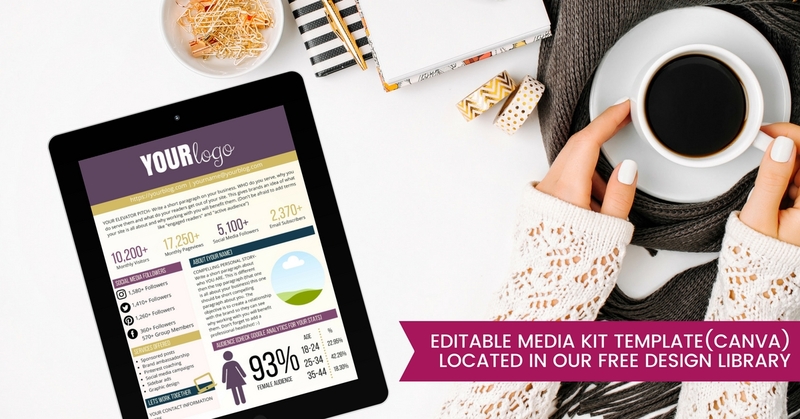 DOWNLOAD OUR FREE MEDIA KIT TEMPLATE NOW! 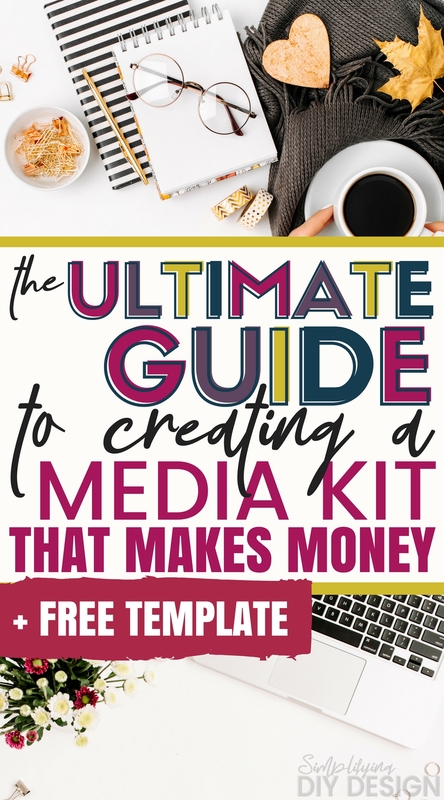 Our media kit is included in our FREE resource library! 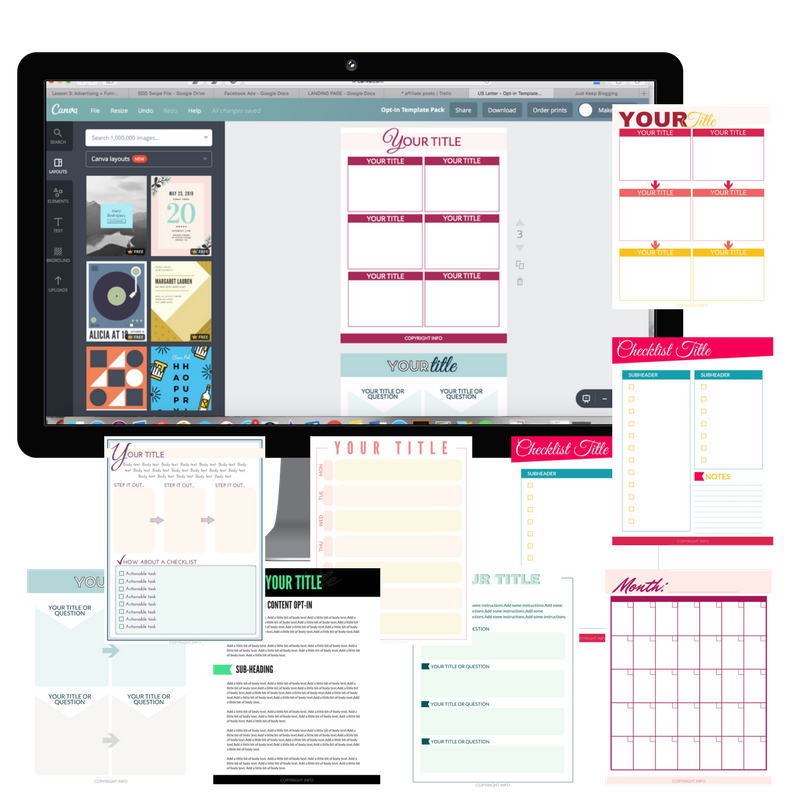 By filling out the form below, you will get access to not only the media kit template, but all of our other free editable Canva templates, step by step tutorials, and other design tools! This template is available in our FREE Design Library! Fill out the form below to get access! 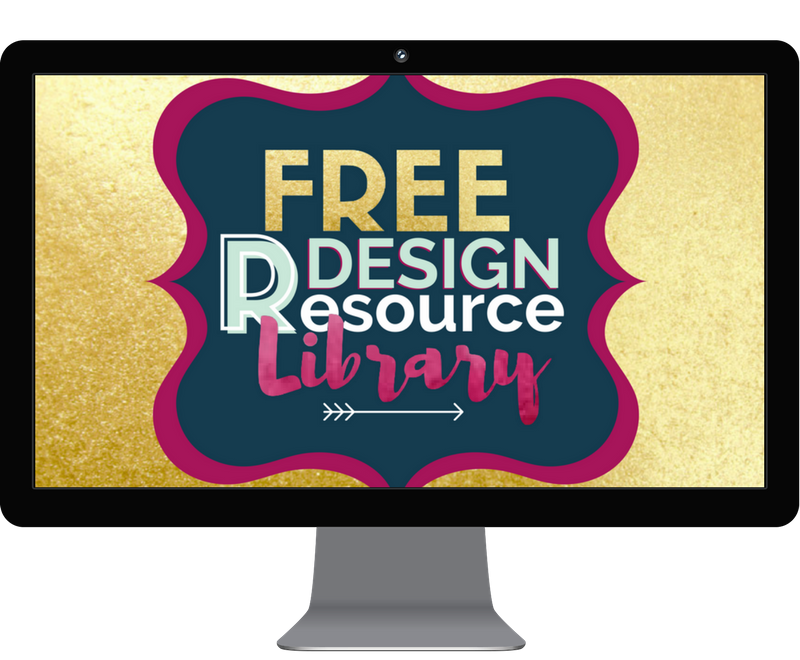 When you sign up to our email list you'll get instant access to this canva template, PLUS you'll get access to all of our tutorials and tools in our design library as well! Really excellent tips, especially the monetization options. I’ve had a media kit for quite a while but I have struggled with putting together sponsorship packages. Thanks for giving me a kick to get that done! What a great resource! Thank you so much for the free template. 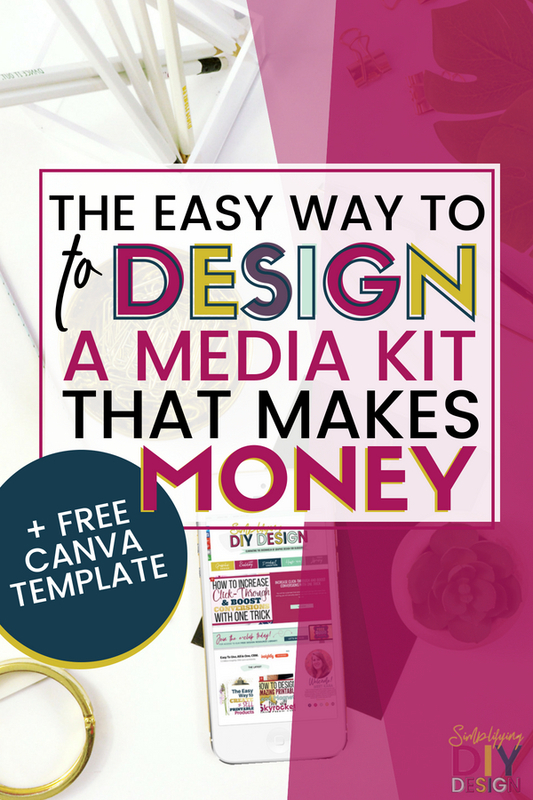 Land your dream sponsor by creating the perfect media kit in minutes with this done-for-you Canva template! This canva template is located in our design library, fill out the form to be added to our email list and get instant access to our library!